Three years ago, Darkwatch was at Jennie Brannigan’s stable after a career running flat and jump races. 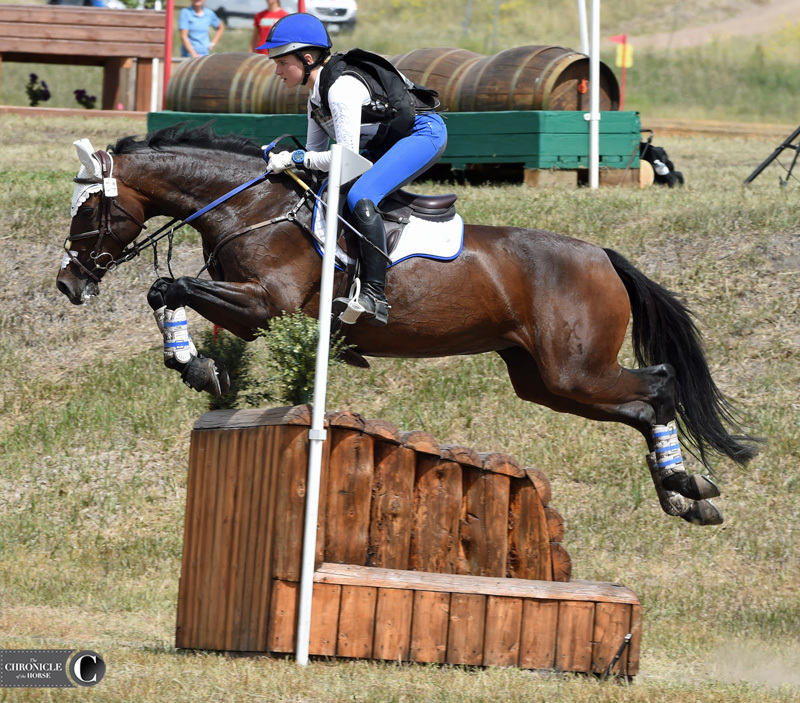 The 10-year-old Thoroughbred gelding (Royal Academy—Without, Unbridled) adapted quickly to life off the track and Erin Hofmann, Park City, Utah, bought him. The two moved gradually up the levels and currently stand atop the preliminary amateur division, improving on their fifth-place finish in dressage on Thursday. They were the last combination allowed to ride before encroaching storms forced a rain delay. Erin Hofmann and former race horse Darkwatch sped home in the preliminary amateur division. Kieran Paulsen photo. “It was really good, I was a little nervous at the beginning, but my horse is really bold and likes a good galloping course so [this course] was a good fit for him,” Hofmann said. She and Darkwatch were one of only two pairs to go without jump or time penalties on cross-country and now sit on their dressage score of 32.4 going into show jumping. Tamra Smith, Murrieta, California, and Fleeceworks Ghost (Dhannondale Sarco—Riverlon Mist) beat a competitive field in the preliminary horse division as one of only three pairs to go clear. Fleeceworks Ghost, a 6-year-old Irish Sport Horse mare, has been with Smith since she was a 3-year-old, but Smith hasn’t been the one in the saddle. Tamra Smith and Fleeceworks Ghost lead the preliminary horse division. Kieran Paulsen photo. Ten horse and rider pairs failed to finish the course: Christi Payne and Melissa Thorson earned mandatory retirment for falls (but horses and riders were uninjured), four pairs retired, three pairs were eliminated, and Martha McDowell withdrew. Smith agreed the course ran tougher than she anticipated. She and Fleeceworks Ghost will carry a score of 29 into show jumping, only a point ahead of Gina Economou and Syntax. Madelyn Floyd and Clementine are currently in first place in the junior preliminary division, by rising from fourth on a double-clear cross-country round and a score of 29.5. Madelyn Floyd and Clementine jumped to the lead in the junior preliminary division. Kieran Paulsen photo. Clementine, a 9-year-old Hanoverian mare (Carrico—La Belle), has been competing with Floyd since last year. This is their first time competing at the AEC and their first visit to the Colorado Horse Park. Floyd admitted to feeling the pressure of first place, but she is keeping the experience in perspective. The preliminary rider division was originally delayed due to weather, but as more aggressive storms moved in it was decided that canceling the rest of the day’s competition was necessary for the safety of exhibitors, spectators, and staff. The preliminary rider, intermediate, and advanced divisions will complete their cross-country tomorrow starting at 8 a.m. (local time). Novice and beginner novice will still run cross-country on Saturday, but will begin at 10:20 a.m. instead of the scheduled 8 a.m start. 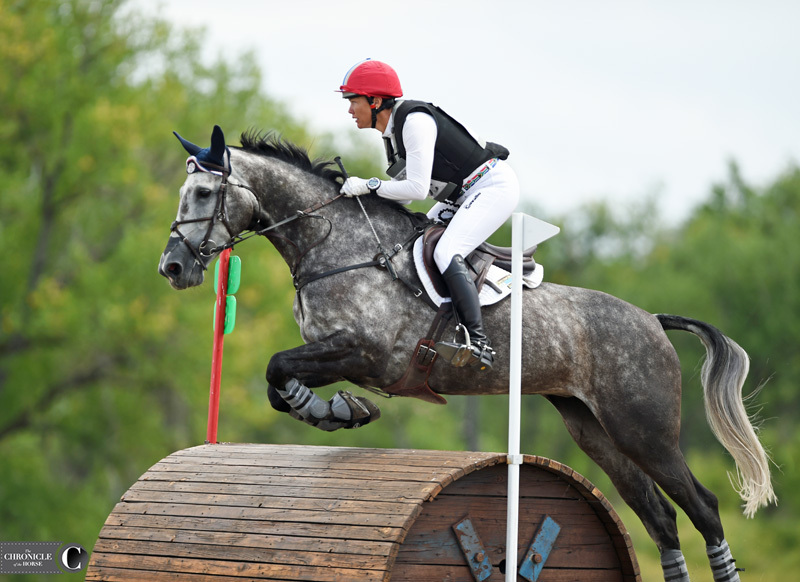 The training and preliminary divisions will show jump on Saturday on a later start time. The intermediate and advanced divisions will not show jump until Sunday morning in the International Arena. Novice and beginner novice will show jump on Sunday morning in the Olson Family Arena concurrent with the intermediate and advanced divisions. The fully revised schedule can be found here. Updated ride times may be found here. Read all of the Chronicle’s #AEC2018 coverage here. 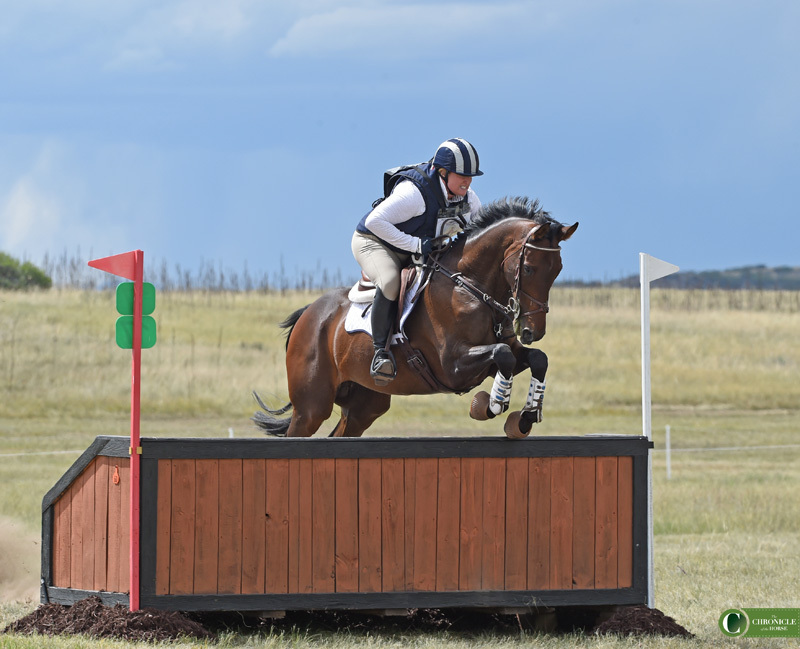 Click here to watch Live Streaming of the 2018 USEA American Eventing Championships presented by Nutrena Feeds. We’ll have full analysis of the competition in the Sept. 24 print edition of The Chronicle of The Horse. Subscribe today.